Draft: 2005, Arizona Diamondbacks, 1st rd. Justin Irvin Upton...On Twitter: @JUST_JUP...Favorite NFL team is the Pittsburgh Steelers... Originally signed by Diamondbacks scout Greg Lonigro... Brother B.J. has played 12 years in the Majors, last appearing in 2016 with San Diego and Toronto...Teammates with his brother in Atlanta in 2013 and 2014 and 2015 in San Diego...Melvin was originally drafted second overall by the Tampa Bay Rays in 2002, becoming the highest drafted brothers in baseball history...Father Manny played baseball and football at Norfolk State...Played high school baseball at Great Bridge...Childhood friends with Ryan Zimmerman and David Wright. sixth straight season with at least 25 home runs (for more info, see chart to right)... Posted a .277 (73/264) clip with 22 home runs and 57 RBI at Angel Stadium compared to .238 (64/269) with eight home runs and 28 RBI on the road...Tallied seven outfield assists with a .987 fielding percentage...The .987 mark as a left fielder ranked third in the A.L. Acquired by the Angels from the Tigers Aug. 31 for a Player To Be Named Later (RHP Elvin Rodriguez) and RHP Grayson Long...Combined between the two Clubs to establish career highs in doubles (44), home runs (35), RBI (109), extra-base hits (79), slugging percentage (.542) and OPS (.904) ... Among A.L. leaders, finished in the Top 10 in RBI (4th), extra-base hits (4th), doubles (T4th), runs (T7th), home runs (9th), slugging pct. (7th) and OPS (8th)...Was the first American League left fi elder with 35 home runs, 100 RBI and 100 runs scored since Jason Bay in 2009 ... In 27 games with the Halos, hit seven home runs with 15 RBI and 19 runs scored...Led the Angels in homers following acquisition...Was first Halo left fielder to hit seven or more home runs in a season since Josh Hamilton (10 HR) in 2014 ... Won third career Louisville Silver Slugger Award® (2011 and 2014)...Was the first Angels outf ielder to win the award other than Trout since Torii Hunter in 2009 ... Named a finalists for the Rawlings Gold Glove Award® in left field after posti ng a .976 fi elding percentage (8 errors/335 total chances)...Nine outfield assists were ti ed for third by an American League left fielder. Completed his first season with the Tigers in 2016, tying a career high with 31 home runs (also, 2011 with Arizona)...Hit his first home run as a member of the Tigers and had his 11th career four-hit game on April 12 vs. Pittsburgh...His error in the sixth inning on April 25 vs. Oakland snapped his career-long errorless streak at 136 games...Made his first career appearance in center field on May 12 at Baltimore...Hit a pair of home runs on June 20 vs. Seattle, including a walkoff solo homer in the bottom of the 12th inning -- the walkoff homer was the fourth of his career (last, August 16, 2013 vs. Washington)…also hit a go-ahead, two-run home run in the bottom of the seventh…according to the Elias Sports Bureau, over the last eight seasons, the only other major league player to hit a go-ahead homer in the seventh inning-or-later and then a walkoff homer later in the game was Andre Ethier for the Dodgers vs. Los Angeles (AL) on August 2, 2015...Hit safely in 11 straight games from June 11-21 -- batted .311 (14x45) with eight runs scored, one double, one triple, four home runs and 14 RBI...Placed on the bereavement list on July 15 -- reinstated from the bereavement list on July 17...Belted the 200th home run of his major league career in the second inning on July 18 vs. Minnesota -- became the 10th active player to reach 200 career home runs in his age-28 season, joining Adrian Beltre, Ryan Braun, Jay Bruce, Miguel Cabrera, Prince Fielder, Albert Pujols, Alex Rodriguez, Giancarlo Stanton and Mark Teixeira...Hit a pair of two-out, three-run home runs on August 21 vs. Boston -- marked his 12th career multi-homer game and tied his career high with six RBI (last, May 24, 2015 at Los Angeles (NL))…also recorded a multi-homer game on September 16 at Cleveland...Recorded his 20th homer of the season on September 4 at Kansas City, hitting a go-ahead, two-run homer in the eighth inning…marked the sixth time in his career he has hit 20-or-more home runs in a season...Hit a go-ahead, three-run home run in the 11th inning on September 5 at Chicago (AL)…was his seventh career home run in extra innings...Named AL Co-Player of the Week for the week ending September 25 - hit .400 (10x25) with six runs scored, three doubles, three home runs and six RBI in six games during the week…marked his fourth career Player of the Week award (last, April 13, 2014) and his first AL Player of the Week honor...Selected the Tigers Player of the Month for September after batting .307 (27x88) with 18 runs scored, five doubles, 12 home runs and 27 RBI - his 12 homers in September were the most by a Tiger since Hank Greenberg hit 16 in September, 1946…led the American League with 12 home runs and a .773 slugging percentage in September, while he was tied for second with 27 RBI...Batted .249 (102x409) against righthanded pitchers…hit .236 (38x161) vs. lefties...Posted a .255 (62x243) batting average at Comerica Park…batted .239 (78x327) on the road...Compiled a .235 (77x328) batting average with 40 runs scored, 19 doubles, one triple, nine home runs and 38 RBI before the All-Star break…hit .260 (63x242) with 41 runs scored, nine doubles, one triple, 22 home runs and 49 RBI after the AllStar break - his 22 homers after the All-Star break were tied for third in the AL, while his 49 RBI were tied for ninth. Selected to the National League All-Star Team for the third time in his career in 2015 with San Diego. Had a single and stolen base in the eighth inning of the All-Star Game, joining Tony Gwynn as the only other Padre to have a hit and a stolen base in the All-Star Game. Led the Padres in multiple offensive categories, including runs scored (85), home runs (26), walks (68) and stolen bases (19) -- became just the third Padre to lead the team in home runs and stolen bases in a season, joining Reggie Sanders in 1999 and Dave Winfield in 1976. Began the season on a 10-game hitting streak from April 6-15 -- hit .351 (13-for-37) with nine runs scored, two doubles, one triple, three home runs and seven RBI during the streak. Posted three multi-homer games on the season, hitting two home runs on April 25 vs. the Los Angeles Dodgers, May 17 vs. Washington and August 26 at Washington. Belted the fourth grand slam of his career and tied a career high with six RBIs on May 24 at the Los Angeles Dodgers. Named the Padres Player of the Month for May by the San Diego Hall of Champions after hitting .343 (37-for-108) with 19 runs scored, four doubles, six home runs and 23 RBI -- ranked third in the National League in hits during May, while he was tied for third in RBI and sixth in batting average. Hit a go-ahead, three-run home run with two outs in the ninth inning on July 30 at New York Mets to lift the Padres to an 8-7 victory. Recorded the 600th RBI of his career on August 21 vs. St. Louis. Had four straight hits for home runs over five games from August 26-30 -- according to the Elias Sports Bureau, he was the first Padre hitter with four straight hits for home runs since Adrian Gonzalez in May, 2009. Batted .277 (75-for-271) with 48 runs scored, 15 doubles, one triple, 15 home runs and 42 RBIs in 77 games at home...hit .225 (61-for-271) with 37 runs scored, 11 doubles, two triples, 11 home runs and 39 RBIs in 73 games on the road. Earned his second career Silver Slugger Award after he hit .270 with 34 doubles, 29 home runs and 102 RBI in 154 games for the Braves...Ranked third in the National League in RBI, tied for fourth in home runs, sixth in slugging percentage (.491) and tied for seventh in extra-base hits (65)...Named the NL Player of the Week on 4/14 after leading the Majors with a .591 (13-for-22) batting average and a 1.227 OPS during the week (4/7-13)...Captured two milestones with one hit on 8/10 vs. WSH…his HR to leadoff the 4th inning was career hit 1,000 and career RBI 500...In the month of August, hit safely in 21-of-28 games and posted a .291 avg, with an NL-best 28 RBI, seven homers (tied for second), a .563 slugging pct. (fifth) and a .383 OBP (16th)…led the Majors with six game-winning RBI in the month, while his nine go-ahead RBI led the NL...He and his brother B.J. became the first pair of brother teammates to homer and notch an outfield assist in the same game on 9/27. Acquired by the Braves along with 3B Chris Johnson from Arizona in exchange for INF/OF Martin Prado, RHP Randall Delgado, RHP Zeke Spruill, INF Nick Ahmed and INF Brandon Drury on 1/24/13...He is one of four players in the Majors with at least 100 runs in each of the last two seasons, joining Miguel Cabrera, Ryan Bruan and Ian Kinsler...Became the fifth player in D-backs history with 100 homers on 8/3 at PHI, joining Luis Gonzalez, Steve Finley, Chris Young and Mark Reynolds. His brother B.J. also hit his 100th home run on the same night, becoming the sixth pair of brothers to reach the milestone: Alomar (Roberto, 210 & Sandy Jr, 112), Boone (Bret, 252 & Aaron, 126), Boyer (Ken, 282 & Clete, 162), DiMaggio (Joe, 361 & Vince, 125) and Meusel (Bob, 156 & Irish, 106)..Tied for second in the NL with a career-high 107 runs scored...Hit first career inside-the-park home run on 8/25 vs. SD, his 25th birthday. Was the first player to hit an inside-the-park home run on his birthday since Lou Brock on 6/18/76 vs. SD (source: Elias)...Did not start from 4/17-20 due to a jammed left thumb (required MRI and fluid drained on 4/17)...Had a season-best 10-game hitting streak (.385, 15-for-39) from 9/12-23...Received his second career ejection for arguing on 8/8 at PIT...Left on 8/21 vs. MIA with a tight left hamstring and missed three games...Homered in back-to-back games on 9/16-17 for the first time since homering in three straight from 9/7-9/11...Batted .287 (76-for-265) in the second half, up from .273 (79-for-289) prior to the All-Star break...Hit .313 (78-for-249) at home, compared to .252 (77-for-305) on the road. Earned his second career National League All-Star selection, finished fourth in the NL Most Valuable Player voting and established career highs in several offensive categories, including stolen bases (21), homers (31), doubles (39), runs scored (105), games (159) and hits (171)...Won his first NL Silver Slugger Award and was named to The Sporting News NL All-Star Team...also selected as the D-backs' Most Valuable Player by the Arizona chapter of the BBWAA...Was the 10th player (13th time) in club history to reach the 30-homer plateau...Ranked among NL leaders in HBP (T1st, 19), doubles (T2nd, 39), extra-base hits (T3rd, 75), runs scored (T3rd), total bases (T5th, .313), home runs (T9th), slugging percentage (10th, .529)...the 19 HBP were a club record...He and his brother B.J. (Rays) became the first set of brothers in Major League history to reach 20 homers and 20 steals in the same season...Became the 15th player all-time record 20 stolen bases and 30 homers before his age-24 season along with Alex Rodriguez, Andruw Jones, Bobby Bonds, Carlos Gonzalez, Chris Young, David Wright, Fernando Tatis, Hanley Ramirez, Jose Canseco, Mike Schmidt, Nomar Garciaparra, Sammy Sosa, Troy Tulowitzki and Willie Mays...Homered in both the home (April 8 vs. Reds) and road (April 1 @ Rockies) opener, the sixth D-backs player to accomplish the feat...Hit a go-ahead, solo homer in the eighth inning of a 4-3 win on May 3 vs. Rockies while his older brother, B.J., hit a 2-run walk-off homer in the Raysf 3-2 win vs. Blue Jayscaccording to Elias Sports Bureau, the Upton brothers are the first pair of brothers to hit gamewinning homers (a game-winning homer is defined as a home run in the seventh inning or later to give the team a lead they never relinquished) on the same day since Sandy and Roberto Alomar on Sept. 28, 1996...His 478-foot home run on April 12 vs. Cardinals was the seventh-longest in Chase Field history...Tied the franchise record (14th time) and matched his career-high with 5 hits on May 30 vs. Marlins...Hit his first-career walk-off home run on June 16 vs. Giants (off Santiago Casilla)...Notched a club-record 5 straight multi-hit games from June 13-17 (.591, 13-for-22)...Named NL Player of the Week for June 13-19 (first career weekly award)...Matched his career high with 6 RBI on July 23 vs. Rockies (second time), including his second-ever grand slam...According to Elias, Upton (7 hits and 9 RBI from July 23-24 vs. Rockies) and Steve Finley (8 hits and 10 RBI from June 1-2, 1999 @ Expos) are the only D-backs players to total at least 7 hits and 9 RBI over a 2-game span...Named co-NL Player of the Week (along with the Padres' Cameron Maybin) for July 18-24...Collected an extra-base hit in a franchise-record 10 straight games from July 20-30...Had his first career ejection for excessive arguing following his fourth-inning strikeout on Sept. 4 @ Giants...Hit a home run in 3 straight games from Sept. 7-9, the last of which was his 30th homer of the season...POSTSEASON: Batted .200 (4-for-20) with 2 home runs and 3 RBI in 5 NLDS games vs. Brewers. Missed most of the last month of the season with a left shoulder strain but compiled a .273 average with 73 runs scored, 27 doubles, 3 triples, 17 home runs, 69 RBI and 18 stolen bases while drawing a career-high 64 walks in 132games...Missed a total of 27 games after straining his left shoulder while swinging the bat awkwardly in a game on Aug. 30...received a second opinion from Dr. James Andrews on Sept. 27 that concurred with D-backs' medical personnel theslight tear in his labrum he suffered during Spring Training in 2006 had not gotten any worse...His .321 average and .420 on-base percentage while batting with runners in scoring position led the team...His .985 fielding percentage was a career best after committing a career-low 4 errors...had a career-best 47-game errorlessstreak from April 23-June 16...After batting only .213 with 3 home runs and 10 RBI in April, he rebounded in May and collected hits in 19 of 28games while batting .278 with 5 doubles, 2 triples, 5 home runs and 17 RBI...Led all National League batters with a .446 average, .530 on-base percentage and 1.262 OPS in 15 Interleague games...also finished fourth in runs (15) and hits (25)...From June 10-30, hit .358 (24-for-67) with 13 runs scored, 4 doubles, 4 home runs, 9 RBI and 11 walks...reached basevia hit or walk in 13 straight games from June 15-28, posting a .417 average (20-for-48) with 11 runs scored, 3 doubles,4 home runs, 9 RBI, 8 walks and a .517 on-base percentage...his .423 on-base percentage and 6.94 plate appearancesper walk ratio during June ranked seventh in the NL...Tied the franchise record with 4 runs scored on June 21 vs. Yankees, going 3-for-3 with a season-high 4 RBI in histhird career 2-homer game, while reaching base in each of his 5 plate appearances...Faced his brother, B.J., for the first time during his career @ Rays from June 25-27, becoming the last of eight sets ofbrothers currently active in the Majors to face each other...the D-backs had parts of three of the eight set of brotherson their roster with Upton, Stephen Drew and Adam LaRoche in 2010...Had a season- and team-high 17-game hit streak (.403, 27-for-67) from July 10-Aug. 1...during the streak, he collected12 extra-base hits, 11 RBI, 9 walks, a .468 on-base percentage and .657 slugging percentage with 7 multi-hit games,including three 3-hit outings. In his first All-Star season, set career marks in every offensive category and established himself as one of the top young players in the game...Set career highs with a .300 batting average, 138 games played, 526 at-bats, 84 runs scored, 158 hits, 30 doubles, 7 triples, 26 home runs, 86 RBI, 55 walks, a .366 on-base percentage and .532 slugging percentage... Received his first NL All-Star Team selection...entered the game as a pinch-hitter in the sixth inning and grounded out against Seattle's Felix Hernandez...took over de¬fensively in left field...in his second at-bat, grounded out against New York Yankees' Mariano Rivera... Received a ninth-place vote in the NL MVP Voting... Joins Orlando Cepeda (1959) as the only player in MLB history to compile at least a .300 average with 25 homers, 80 RBI and 19 stolen bases in a single season at the age of 21 or younger...in 1959, Cepeda hit .317 with 27 home runs, 105 RBI and 23 stolen bases for the Giants. .. Hit .377 (46-for-122) with 12 home runs, 30 RBI and a .762 slugging percentage against southpaws...his slugging percentage led the Majors while his batting average and home runs ranked fifth in the NL...against righties, hit .277 (112-for-404) with 14 home runs and 56 RBI... His 26 home runs and 20 stolen bases equated to a 22.6 Power Speed Number, 10th-best in the NL... Among NL players from the seventh inning on, he ranked second with a .339 batting average (56-for-165), sixth with 56 hits and a .576 slugging percentage, and tied for 12th with a .400 on-base percentage...among all players, he ranked fourth in batting average and 10th in slugging percentage... In interleague play, posted a .393 average (24-for-61) with 8 doubles, 2 home runs, 8 RBI and .456 on-base and .623 slugging percentages over 15 games... Had a single-season, career-best 35-game errorless streak from April 18-May 26... Hit his first home run of the season on April 25 vs. Giants, a 445-foot blast that tied for the 18th longest by a D-back in Chase Field... Homered in 3 straight games on Sept. 8-9 vs. Dodgers and Sept. 11 vs. Brewers... Had his first career 2-homer game on May 6 @ Padres...Fashioned a career-best 18-game hitting streak from April 24-May 11, batting .385 (24-for-65) with 4 doubles, 7 home runs and 17 RBI...the streak was the fourth-longest in the NL during the season...tied for the fifth-longest in franchise history with Mark Grace (May 18-June 10, 2001) and Junior Spivey (May 31-June 4, 2002)... Hit safely in 10 straight road games from April 30-May 16 at a .389 clip (14-for-36) with 2 doubles, 1 triple, 4 home runs, 8 RBI and .463 on-base and .833 slugging percentages... Set a career high with 6 RBI and had his second career 2-homer game, on May 20 @ Marlins (game #2), the latter of which was a 13th-inning blast that gave the D-backs an 11-9 win... Reached base via a hit or walk in 16 straight home games from May 13-June 25, batting .333 (20-for-60) with 5 doubles, 2 triples, 2 homer, 9 RBI and 13 walks... Reached base via a hit or walk in 12 consecutive games from May 20-30, batting .400 (20-for-50) with .464 on-base and .680 slugging percentages... Collected 14 hits in 6 games (5 multi-hit affairs) from May 23-28, joining Jeff Francouer (2005) as the lone players in the last 10 years to have that many hits over a 6-game span at age 21 or younger... Named the NL Player of the Month for May after batting .373 (41-for-110) in 28 games with 8 doubles, 4 triples, 7 home runs, 21 RBI and an NL-best .709 slugging percentage... Hit his first career grand slam on June 2 @ Dodgers in the second inning off of Randy Wolf... Reached base via a hit or walk in 20 straight games from June 2-25, batting .333 (26-for-78) with 5 home runs, 16 RBI, 13 walks and a .429 on-base percentage...drew a walk in 7 straight games from June 9-16... Hit safely in 12 consecutive home affairs from July 11-Aug. 30 at a .500 clip (23-for-46) with 2 doubles, 1 triple, 5 home runs, 14 RBI and .558 on-base and .913 slugging percentages... Reached base via a hit, walk or hit-by-pitch in 23 consecutive affairs from July 20-Sept. 1, hitting .398 (37-for-93) with 21 runs scored, 7 doubles, 1 triple, 7 home runs, 21 RBI, 10 walks and .462 on-base and .720 slugging percent¬ages... Fashioned a 10-game hitting streak from Aug. 3-Sept. 1, batting .444 (20-for-45) with 5 doubles, 3 homers, 7 RBI and a .756 slugging percentage... Missed 18 games while on the disabled list from Aug. 6-25 with a right oblique strain... Doubled in his lone pinch-hit appearance on Sept. 3 @ Dodgers, making him 4-for-11 (.364) in his career as a pinch-hitter... Had a career-high and franchise record-tying 5 hits with 3 singles, 1 double and 1 triple on Sept. 16 @ Padres...the 5 hits matched the franchise's single-game record for the 13th time overall and fourth time in an extra-inning affair. Started the season by collecting a hit in 23 of the club's first 33 games to see his seasonbatting average peak at .347 (41-for-118) on May 6...the stretch also included a careerbest7-game hitting streak from April 29-May 6 (.440, 11-for-25)...had another 7-gamehitting streak July 1-Aug. 29 (.333, 8-for-26)...Homered in each game from April 3-5, becoming only the fourth player in Major Leaguehistory to homer in 3 straight games at the age of 20 or younger...others to do so wereJimmy Sheckard (Brooklyn, 1898), Mel Ott (New York Giants, twice in 1929) and WillieMays (New York Giants, 1951)...Hit 5 home runs through the club's first 11 games, becoming the third player in MajorLeague history under 21 years old to hit 5 home runs or more in his club's first 11 gamesof the season...others to do so were Detroit's Al Kaline in 1955 (5) and Florida's MiguelCabrera in 2004 (6)...Hit a home run as the clean-up hitter on May 8 vs. Philadelphia, becoming only the fifthplayer in the last 25 years to bat fourth and hit a homer prior to their 21st birthday...otherplayers to do so were Washington's Ryan Zimmerman (twice in 2005), Florida's MiguelCabrera (2003), Atlanta's Andruw Jones (1997) and Seattle's Ken Griffey, Jr. (1990)...Was hitless in 28 consecutive at-bats, including 18 strikeouts, from May 20-28 until snappingthe skid with a 2-run double in the seventh inning on May 28 vs. San Francisco...His 484-foot homer off the Padres' Josh Banks on July 6 vs. San Diego was the secondlongesthome run in Chase Field history and 16th (8th D-backs player) to land in Friday'sFront Row, located in the ballpark's second level in left field...Missed 43 games while on the disabled list from July 18-Aug. 29 with a left oblique strainsuffered during batting practice on July 9 at Washington...Batted .261 (6-for-23) with only 1 extra-base hit in his first 10 games after being reinstatedfrom the disabled until catching fire again during a 13-game stretch from Sept. 13-26,when he batted. .333 (16-for-48) with 4 home runs, 6 doubels, 2 triples and 9 RBI...Had a career-high 4 hits, including a double and homer, on Sept. 14 vs. Cincinnati...Started 100 games in right field and tied Conor Jackson for the team lead with 6 outfieldassists. Contract purchased from Mobile on Aug. 2, making his Major League debut that night at San Diego as a defensive replacement in the eighth inning...fouled out to first base in the ninth inning in his first Major League at-bat...Became the youngest player to ever appear in a game for the D-backs at 19 years, 342 days old...previous youngest was Edgar Gonzalez at 20 years, 98 days on June 1,2003 at San Diego...Was a single away from becoming the youngest player in Major League history to hit for the cycle on Aug. 7 against Pittsburgh, going 3-for-4 with his first Major League home run...Had 3 consecutive multi-hit games on Aug. 4, 5 & 7, collecting 3 doubles, a triple, ahome run and 2 RBI over that stretch...Hit his third career triple in his 30th at-bat with the D-backs...Broke camp with Visalia (A), appearing in 32 games for the Oaks, batting .341 with 6doubles, 2 triples, 5 home runs and 17 RBI...Hit home runs in 5 consecutive games from April 25-29, collecting 9 RBI over that stretch...Strung together a 13-game hit streak from April 17-April 30, batting .500 (26-for-52)with 3 doubles, 5 home runs, 11 RBI and 6 stolen bases...Promoted to Mobile (AA) on May 14, making his BayBear debut that evening againstJacksonville, going 1-for-3 with a 2-run home run...Hit 4 home runs in his first 3 games at Mobile, including a 2-home run performanceon May 15, going 3-for-6 with 6 RBI...Strung together a 9-game his streak from May 26-June 3, batting .486 (17-for-35) with 4 doubles, 2 triples, 2 home runs, 10 RBI and 2 stolen bases over that stretch...Held a .930 fielding percentage over 42 games in rightfield for the D-backs...2007 POSTSEASON HIGHLIGHTS: Hit .600 (3-for-5) in 2 NLDS games vs. Chicago,scoring 2 runs with a RBI and 3 walks...batted .222 (2-for-9) in all 4 NLCSgames against Colorado with a double and triple. Reached base via hit or walk in 90 of 113 games with at least 1 hit in 75 contests and 31 multi-hit games for South Bend (A)...Picked up first career hit and RBI on April 22 vs. Wisconsin...Collected career-best 3 hits onApril 26 vs. Clinton, April 30 at Cedar Rapids, May 17 & 18 atSouthwest Michigan, June 22 atDayton, June 26 at West Michigan,July 10 at Clinton, July 31 vs. CedarRapids & Aug. 20 vs. Fort Wayne...Hit first career home run on April 30 at Cedar Rapids...Compiled a 10-game hit streak from April 30-May13 during which he hit .341 (15-for-44) with a homer and 7 RBI...Reached base via hit or walk in 20 consecutive affairsfrom April 30-May 23 with a .338 mark (26-for-77) with 4 doubles, 2 homers and 16 RBI...Clubbed first career grand slam and established career-bestwith 5 RBI on May 18 at Southwest Michigan...Selected as starting center fielder and had a double,a walk and 2 runs scored as the leadoff hitter forEast All-Star squad at the Midwest League All-Star Game...Had first 2-homer game on July 9 at Clinton...Served as designated hitter in Silver Hawks' postseasonseries against Lansing...went 2-5 with atriple and a 2-run homer in Game 1 on Sept. 6. March 28, 2019 Los Angeles Angels placed LF Justin Upton on the 10-day injured list retroactive to March 25, 2019. Left foot turf toe. August 30, 2018 Los Angeles Angels activated LF Justin Upton from the 10-day injured list. August 21, 2018 Los Angeles Angels placed LF Justin Upton on the 10-day disabled list retroactive to August 19, 2018. Left index finger laceration. August 31, 2017 Detroit Tigers traded LF Justin Upton and cash to Los Angeles Angels for RHP Grayson Long and Future Considerations. July 17, 2016 Detroit Tigers activated LF Justin Upton from the bereavement list. July 14, 2016 Detroit Tigers placed LF Justin Upton on the bereavement list. January 20, 2016 Detroit Tigers signed free agent LF Justin Upton. November 2, 2015 LF Justin Upton elected free agency. December 19, 2014 Atlanta Braves traded LF Justin Upton and RHP Aaron Northcraft to San Diego Padres for 2B Jace Peterson, LHP Max Fried, 3B Dustin Peterson and CF Mallex Smith. January 24, 2013 Arizona Diamondbacks traded LF Justin Upton and 3B Chris Johnson to Atlanta Braves for 3B Martin Prado, RHP Randall Delgado, RHP Zeke Spruill, SS Nick Ahmed and 3B Brandon Drury. 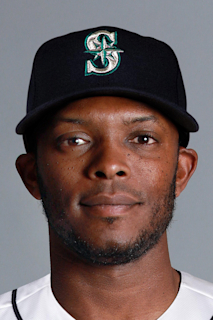 August 26, 2009 Justin Upton roster status changed by Arizona Diamondbacks. August 24, 2009 sent RF Justin Upton on a rehab assignment to Visalia Rawhide. August 6, 2009 Arizona Diamondbacks placed RF Justin Upton on the 15-day disabled list.